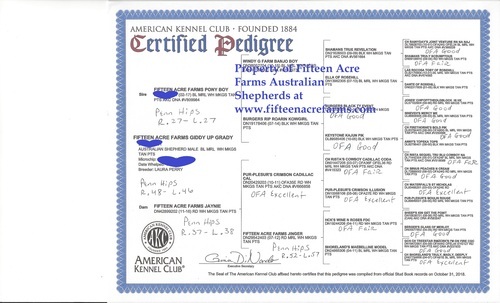 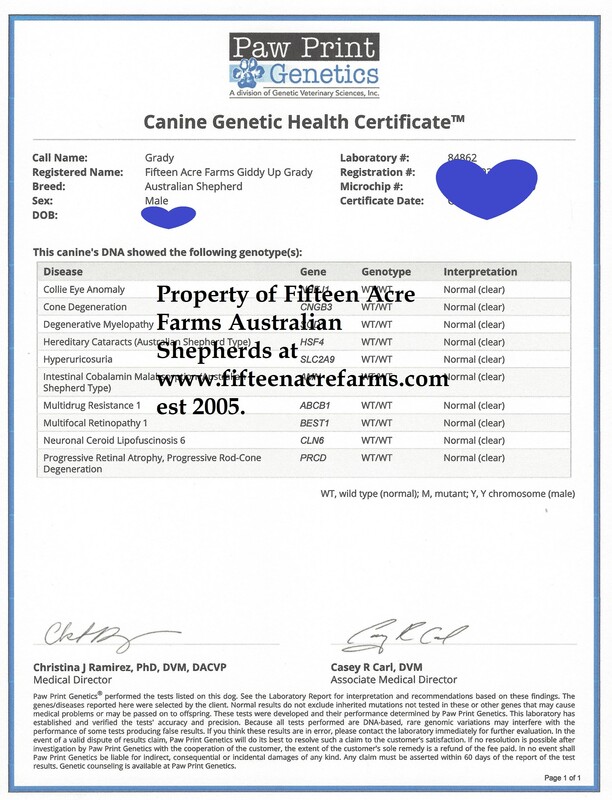 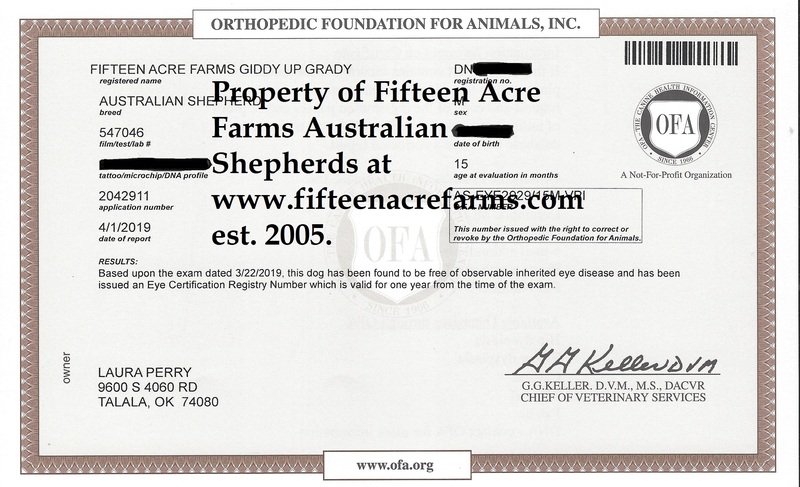 Grady was bred, born, and raised here at Fifteen Acre Farms Australian Shepherds. 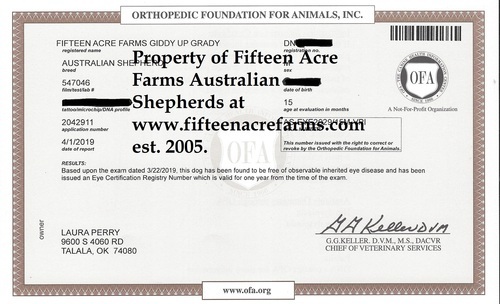 Watch for puppies sired by Grady in 2019. 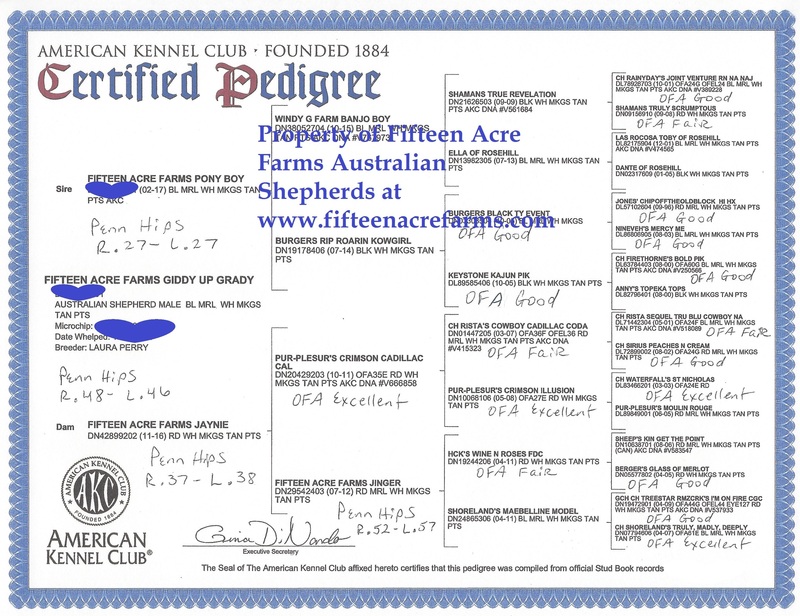 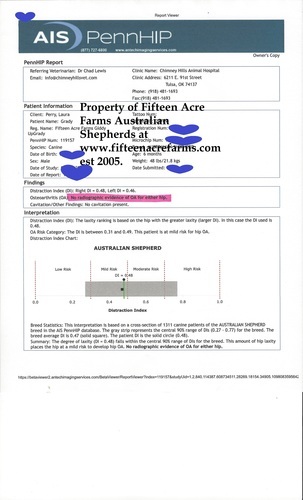 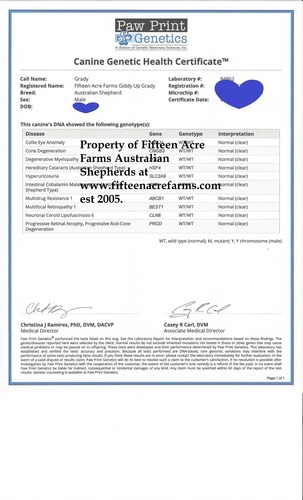 Pedigree & lab reports for important genetic health testing are posted here. 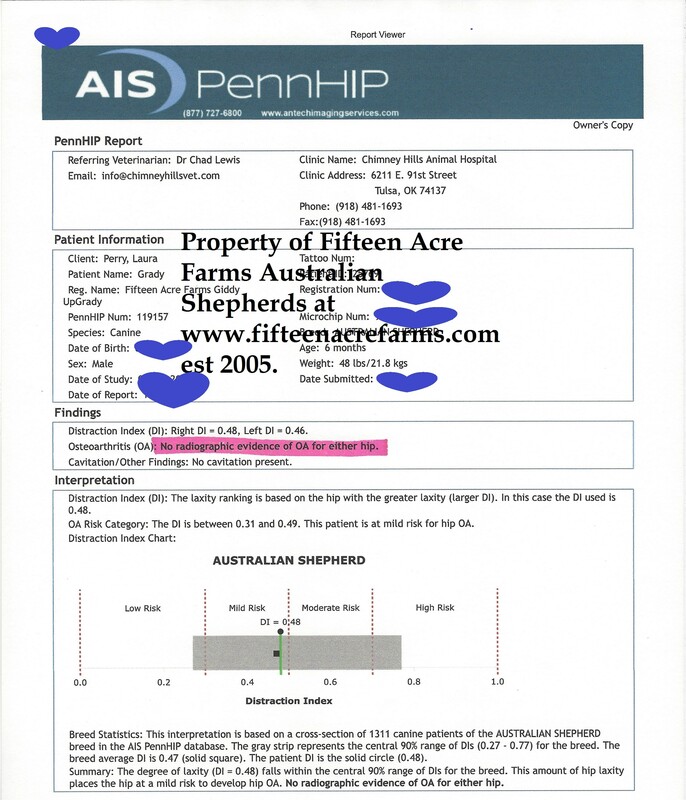 Click on each report to enlarge.